An ambulance or fire rescue personnel will usually show up to the scene of the car accident and look over the folks who were involved. The ambulance or fire rescue transports injured people to the hospitals depending on their observation of the severity of the injuries. Even if they don’t decide to transport you, or they give you the option to go in the ambulance, you can go either with a friend or drive yourself if that is possible. If you are properly insured under your car accident insurance policy, you will have Personal Injury Protection. This will cover medical bills up to a point for your Miami car accident. It is important to do good research on your medical doctors. Just like what you are doing right now, reading up on your Miami car accident lawyer, you should investigate the background of your medical doctor. Their credentials are important in your treatment. It is important to get the right care for the right condition. And, at trial or in settlement negotiations, your doctor’s credentials will be placed at issue by the opponent. It is important to continue and follow up with your medical care if you are still having medical problems from the accident. If you go to the doctor one or two times and then stop treating, it will be argued by the defendant or his or her insurance company that you stopped having problems or pain associated with the accident. Your Miami car accident lawyer will have to deal with this. So, if you are still having problems, for your health, you should continue to get treatment in the way of therapy and visits to your medical doctor. Also, if your doctor prescribes treatment, you should follow up and do it. If you do not go for treatment that your doctor prescribes, the defendant or his or her insurance company will make a good argument that you did not do everything you could to improve your medical condition. They will argue that they cannot be held responsible for the full extent of your injuries because you did not try to get better. Many doctors will just tell you that they do not handle accident cases. In some cases, even your own primary doctor may refuse to treat you when he or she finds out that you have hired a Miami car accident attorney. In that case, you will need to find a good Miami car accident medical doctor. Car Accident Recovery – Can I Get Paid for My Accident? Now, if your accident was the result of the negligence or fault of another person, you may be entitled to recovery. In car accident negligence cases, only certain car accident injuries and damages are recoverable. And, whether or not you have a case depends on the severity of your injuries and the whether or not it can be proven that the accident happened because of the other driver’s negligence or fault. If you hire us, we will investigate your case and determine how strong of a case you have. The strength of your case depends on whether you suffered serious injuries. After most of the facts are obtained, your attorney may make a settlement demand on the insurance company with your input. If the case cannot be settled for an agreeable or reasonable amount at that point, your car accident lawyer will likely file a lawsuit and litigation will begin against the parties or people responsible for your injuries and damages. 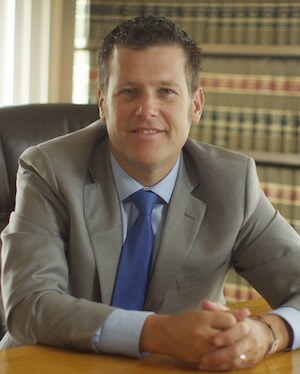 Your case can resolve either through settlement or car accident litigation. If litigation is the route, the case may still end in settlement. However, the case may very well end in a jury verdict. And, after a verdict, an appeal may ensue. Since 1963, the Miami Personal Injury Attorneys at the Wolfson Law Firm have been counselled personal injury victims and their families. Jonah Wolfson’s clients appreciate that he is fluent in English and Spanish. He is a bilingual personal injury attorney in Miami and he is ready to speak with you in en Espanol anytime. You can view him speak right now in English and en Espanol in our media section. His personal injury team is also bilingual and they are always available for you. Just call (305) 285-1115 for a free consultation. If you were injured in a Miami car accident and you’re not 100% certain if you have a case, then you should call the Miami Car Accident Attorneys at the Wolfson Law Firm. Our Miami personal injury lawyers can help you if you were injured in a pedestrian or automobile accident on Le Jeune Road, the Palmetto, the Dolphin, Little Havana, and Dixie Highway or anywhere in South Florida. The Miami Accident Injury Lawyers of Little Havana at the Wolfson Law Firm have counselled clients injured at the Miami International Airport, Wynwood, Aventura, Fontainebleau, Hollywood, Allapattah, Miramar, The Roads, Fort Lauderdale, Tamiami, Pompano Beach, Flagami and many other communities throughout South Florida. Call us today for a free consultation at (305) 285-1115.